Fall is considered to be a favorite season among most. It signals the start of cool, crisp air, the transition of leaves from green hues to colorful red, orange, yellow, brown, and purple varieties, and fun-filled gatherings surrounding football season, Halloween, and Thanksgiving. Unfortunately, many pests – such as spiders, mice, stink bugs, crickets, box elder beetles, and Asian lady bugs – view fall as a time to seek out shelter from the upcoming cold months that lay ahead. It is imperative that you realize this so that you may engage in the act of pest-proofing your home this fall from potential invaders. In this 6-part series, we will expound on the pests that are especially troublesome during the fall months. 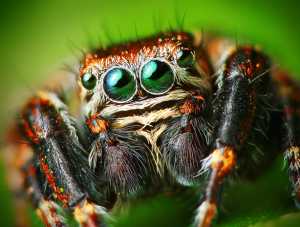 In this first installment, we will focus on spiders. According to pest control companies, spiders are considered to be the most prevalent among fall pests. These creatures have the unique capability of discovering ways to enter into even the most secure homes during the fall months. According to statistics, every two out of three homes will become subjected to the invasion of a spider. These invasions are quite common during the fall months as this is when young spiders born within the spring months mature into adults. The male spiders are at a point in the fall months where they are actively searching for a female spider to make with. As a result, it is not at all unusual to find these creatures scampering around various locations both inside and outside of a home. It is a known fact that spiders may prove to be highly beneficial. First, they eat common pests that are known to invade the internal regions of a home. Second, they seek out and kill other types of spiders. Finally, these pests may aid in the curtailing of potentially devastating diseases and sicknesses that stem from common critters that are known to carry diseases – such as cockroaches, flies, and mosquitoes. Unfortunately, not all people can withstand the ghastly and frightening appearance of even the most innocent of spiders. That, coupled along with the fact that many spiders have the capability of biting and causing serious illnesses of their own leave most seeking out ways to eliminate these pests from in and around the home.